Essie Butler Please was purchased with funds provided to me by my sponsor SkinCareRx.com that I receive in exchange for placing an ad here on Never Enough Nails and reviewing the products I purchase with those funds. All opinions are my own honest thoughts. Essie Butler Please was all over the blogs when it came out, but I ignored it for quite awhile. I didn't buy it until about a month ago and then it sat in my untrieds for another month!! Finally trying it today was one of those moments where you say "why did I wait this long???"! 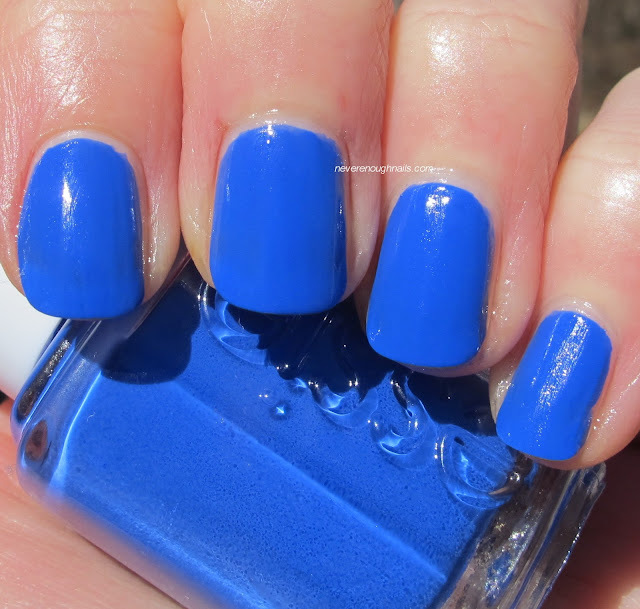 Butler Please is a crazy bright vibrant blue. 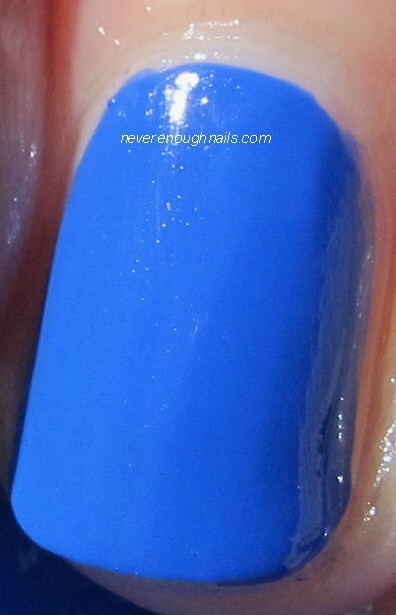 The nearly neon quality of this polish definitely sets it apart from the tons of other blue cremes I own. Before trying this, I was thinking it would be close to Essie Mesmerize (even though I have seen comparison pics), but Butler Please is lighter and a thousand times more vibrant. By now I think we all know that Butler Please is a near dupe of Nails Inc. Baker St., but I don't own that one, so that's OK with me. While the color is stunning, the application here was less than stellar. The neon pigment in Butler Please makes this polish a bit hard to work with. It was kind of thick and the first two coats went on unevenly. The third coat and a nice coat of top coat worked to smooth everything out though. The neon pigment also means that this dries to a kind of satin finish, so most of you will definitely want to add a top coat. For a color this pretty, I'm willing to work with the formula, but the less patient among you may want to find an easier alternative. Essie Butler Please is available on Apothica.com and in a drugstore near you.